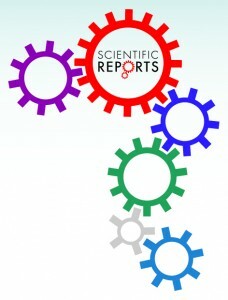 Following a massive editorial protest, Scientific Reports is admitting its handling of a disputed paper was “insufficient and inadequate,” and has agreed to retract it. The 2016 paper was initially corrected by the journal, after a researcher at Johns Hopkins University, Michael Beer, accused it of lifting some of his earlier work. After we covered the story, nearly two dozen Hopkins researchers threatened to resign from the journal’s editorial board if the journal didn’t retract the paper — and many followed through with that threat after the journal reaffirmed its initial decision. In response, the journal said it would assemble a “senior editorial committee” to review its decision-making. We have now undertaken further assessment of this case, including seeking additional independent advice from external ethics experts.The conclusion of this review is that the original and corrected versions of the article include ambiguous sentences and textual overlap without adequate attribution which failed to give due credit to a previously published article by another research group, and should be retracted. The review also concluded that the correction made following the initial review was insufficient and inadequate. As a result of this issue, we are now developing updated and more extensive guidance for all of our editorial staff on handling allegations of plagiarism and will also be developing further guidance for authors on how to avoid plagiarism. A representative of the journal declined to provide us a copy of the external committee’s report. …I’m very pleased (and relieved) to see that Nature’s Scientific Reports has done the right thing here. I would have been very surprised if an unbiased scientific review panel had not reached the conclusion that this was plagiarism…I’m a little surprised that it took this long. But I believe that this end point is the appropriate one. I have not asked any of the academic editors who resigned what they would do if Scientific Reports retracted the article, but I will let them know as soon as the embargo is lifted. Each of them is independent, of course, but I would not be surprised if some of them agree to re-join the editorial board. I would certainly support them if they choose to do that. I also hope the journal will contact all of them and invite them to re-join. We have not heard this news from the journal yet, perhaps because they wish to keep it under embargo until tomorrow. The number of people who resigned from the journal in response to its handling of this paper is only a small fraction of the journal’s large editorial board. This Article reports an application of methodology originally reported in Reference 33 to recombination spot identification. Reference 33 (Ghandi, M. et al. PLoS Comp. Biol. ) of this Article introduced a feature set called gapped k-mer for regulatory sequence prediction; this Article applied these gapped k-mer features to recombination spot identification, and a computational predictor was constructed for recombination spot identification. The original and corrected versions of the Article include ambiguous sentences and textual overlap without adequate attribution, which failed to give due credit to the authors of Reference 33. The original and corrected versions of the Article are therefore being retracted by the Editors. The authors do not agree with the retraction. The paper has been cited 17 times, according to Clarivate Analytics’ Web of Science, including once after it was corrected in December, 2016. We contacted last author Bin Liu based at Harbin Institute of Technology, and will update the story if he responds. Last year, he denied the accusations that his paper had plagiarized from Beer’s work. The now-retracted paper is an application of a previously published algorithm designed to better identify regulatory sequences in DNA. Liu and his colleagues used the technique to identify recombination spots in DNA, calling it SVM-gkm. Beer claimed that large sections of the 2016 paper simply reworded his paper and restated the equations that underlie his software—named gkm-SVM. The retraction went live at 2 AM New York time, 6 AM UTC. The publisher sent us an advanced copy of the notice and a statement at 11 AM New York time yesterday, noting that it was under embargo. We contacted Salzberg and Beer under the condition that they would not reveal details about the retraction before it was published. My only other comment is that I think the journal acted much too slowly, and did not take the original claims of plagiarism seriously enough. Based on their statement, I hope that they will be more alert to this issue in the future. I think this process is incredibly important. I think integrity of the scientific publishing process is incredibly important. If it were just me complaining to the journal, nothing would have happened…I’m thankful to my colleagues who didn’t need to speak up, but they brought this result…It’s not until a sufficient group of people say ‘this is a problem’ that it gets on the radar of the journal. I know that with plagiarism it gets a bit fuzzy who the real authors are, but this still sounds weird. I’m guessing that they meant “this” instead of “his”. Good catch. I think it’s a bit premature of those initially involved to now laud Sci. Rep. with praise over this action. It was a delayed action; the journal was recalcitrant. It took much media attention and editor resignations to get any action towards the obvious outcome (retraction of the fraudulent article). I think it is unlikely that Sci. Rep. will stop taking cash to publish plagiarized work. It is their business model: publish as many papers as quickly as possible, and spread them over as many editors as possible to diminish the possibility any one editor can catch onto a given plagiarism/fake review/citation cartel’s game. Perhaps in a future instance, someone will put their foot down again and make a case clearly known. However, given the volume of Sci. Rep. drivel published daily, it’s unlikely anyone can keep track. @ICC, if you look at my comments you won’t find any praise for Scientific Reports, except that I praised this particular actio – retracting the article. I also pointed out, as quoted above, that they moved far too slowly, as you wrote also. I think they showed disrespect towards the thousands of scientists who do all the real work from which their journal profits: we write the papers, we review the papers, and we give their journal credibility. I hope the managing editors (and other paid staff) of the journal will learn from this experience and show us more respect in the future. They did not do that initially in this case, but they finally came around, and I want to acknowledge that they did the right thing in the end.